While coffee is a daily part of many people’s lives—there are some folks for whom coffee is more than a ritual, it’s a calling. 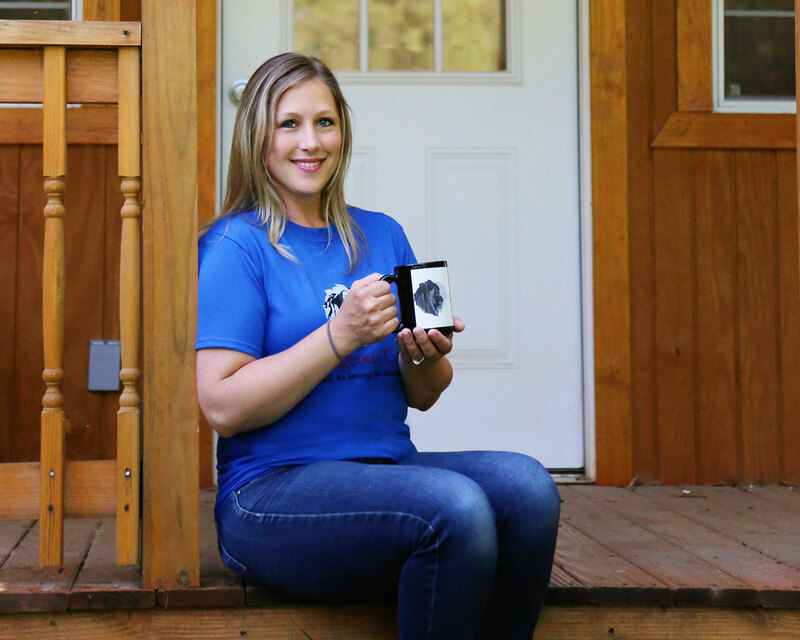 For Tanya Schneider, her fascination with coffee started early in life. As a young girl, she would get up in the morning with her father, an otherwise busy man, and watch him sit down with a simple coffee cup and relax. By the time she was six, she’d asked for her first mug of coffee, served with an ice cube and a dash of milk. It was love at first sip. Years later Schneider began to educate herself more deeply. She read books on the growing seasons of coffee beans and how to roast them. While Michigan weather would never allow her to grow her own beans, it couldn’t keep her from roasting them. Armed with her first coffee roaster, which was the size of a toaster oven and only roasted about a quarter-pound of beans at a time, Schneider trial and errored her way into her craft. She saved money along the way with a bigger dream in the back of her mind. 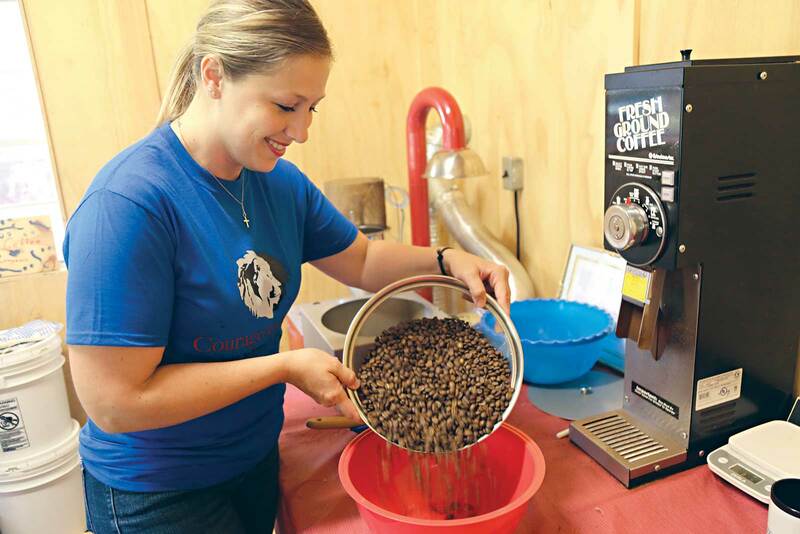 In 2010, Schneider, who is employed with HomeWorks Tri-County Electric Cooperative, had an opportunity to roast her coffee for military care packages that were being assembled at work. 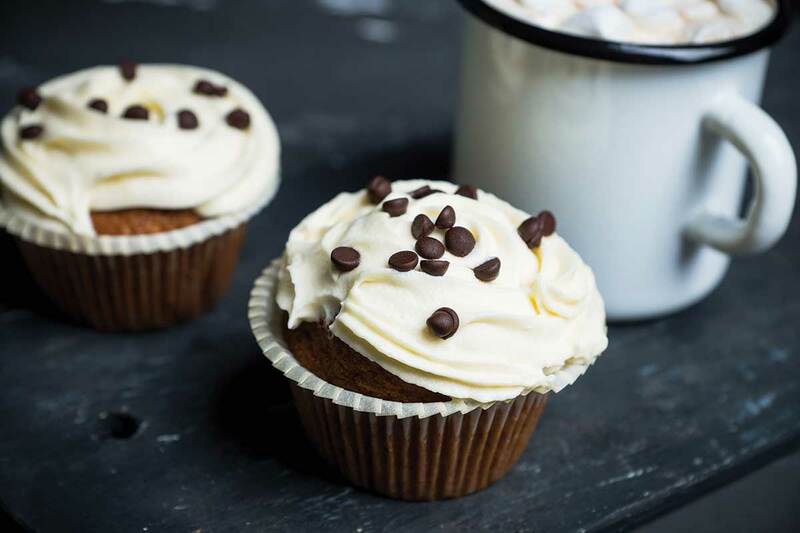 Check out Tanya’s cappuccino muffin recipe that uses brewed coffee for the ultimate coffee companion. In 2016, Schneider found herself on a mission trip to Belize with a group of individuals from church. In the evenings, she and the other women on the team sat together and shared stories about their lives and connected with one another. Schneider shared with them that she’d just started a business the month before—Courageous Coffee. At that moment, Courageous Coffee went from a quiet passion to a full-blown dream come true. 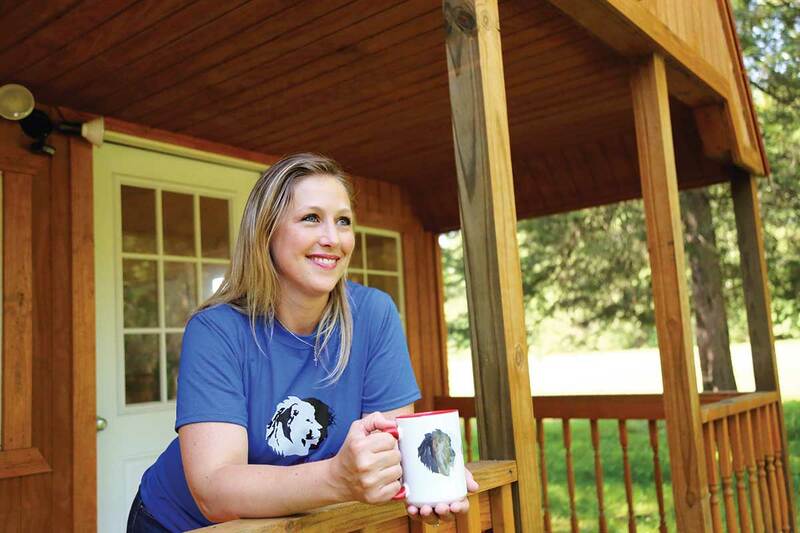 Soon after the mission trip, she and her husband bought the future home of Courageous Coffee—a 12×12 Amish-built building that found itself on the back of the couple’s property. Next came a larger, upgraded roaster and a few 150-pound bags of quality coffee beans. By the end of the year she’d sold her first bag of coffee to a co-worker. Within a few months several local businesses were carrying Courageous Coffee for sale and it was available for purchase online at mycourageouscoffee.com. Since then, Schneider has been roasting her heart out. Tanya personally signs and includes a handwritten note on every bag of coffee she roasts. 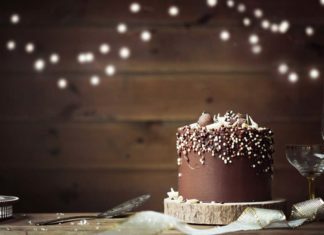 In line with her early vision to have her business serve others, 10 percent of all proceeds are donated to nonprofit causes. For Schneider, Courageous Coffee is an homage to perfect moments over a cup of joe and a knowing nod to seemingly impossible dreams. Bold, strong, courageous—it really is the perfect blend for coffee. And for life. 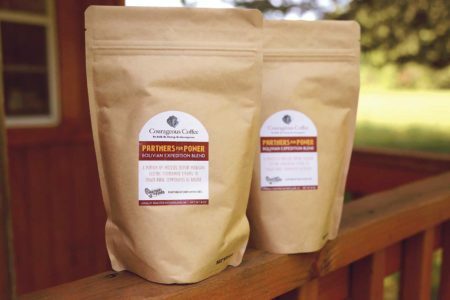 Courageous Coffee’s next service mission to give back is a specialty blend that’s brewing to support the next Partners for Power project by Michigan’s electric cooperatives. This September, linemen from Michigan electric cooperatives are headed to Bolivia to bring reliable electricity to the community of Yata. The people of Yata are an ambitious bunch. But before many of them can realize their dreams, they need access to reliable electricity. When you buy a bag of Courageous Coffee’s Bolivian Expedition Blend, you help support the project. To learn more about the project and other ways to get involved, visit partnersforpower.org. Join Tanya in her kitchen as she explains how she brews the perfect cup of coffee using the pour over method. What is difference between pour over and the k cup? Good Question! The pour-over method gives you more control over the taste of your coffee. Consider with the pour-over method you can control your grind size, brew time and have a much greater variety of beans and roasters to choose from. I love your method. Time has no meaning when it comes to a perfect cup of coffee. I’m not a fan of the K-cup thing. I would love to see your whole operation. 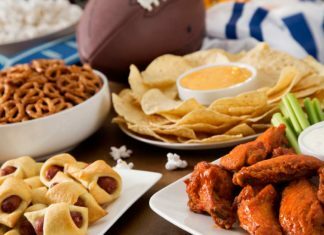 Also would love taste testing (like wine tasting). I’ve walked away from the typical grocery store coffee. Now I’m slowly trying different options. I’m going to check out your website soon. The article in Country Lines is great. I hope it boosts your business.